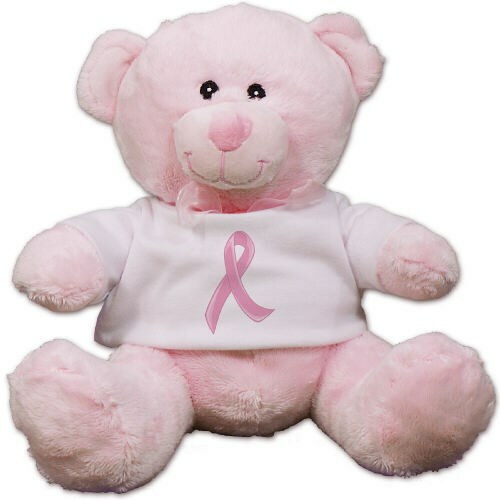 Breast Cancer Pink Ribbon Teddy Bear - 8"
Send warm hugs, love & support to someone you know living with breast cancer with our Breast Cancer Awareness Plush Teddy Bear. Our Pink Ribbon Teddy Bear helps the fight against breast cancer by spreading its awareness. This Plush Pink Teddy Bear measures 8” tall. She is handmade and wears a fashionable sheer pink bow. She is surface washable and safe for all ages. Additional Details If you have an upcoming Breast Cancer Awareness Event that you are participating in, then standout among the rest with our unique and eye catching Breast Cancer Awareness Bear!